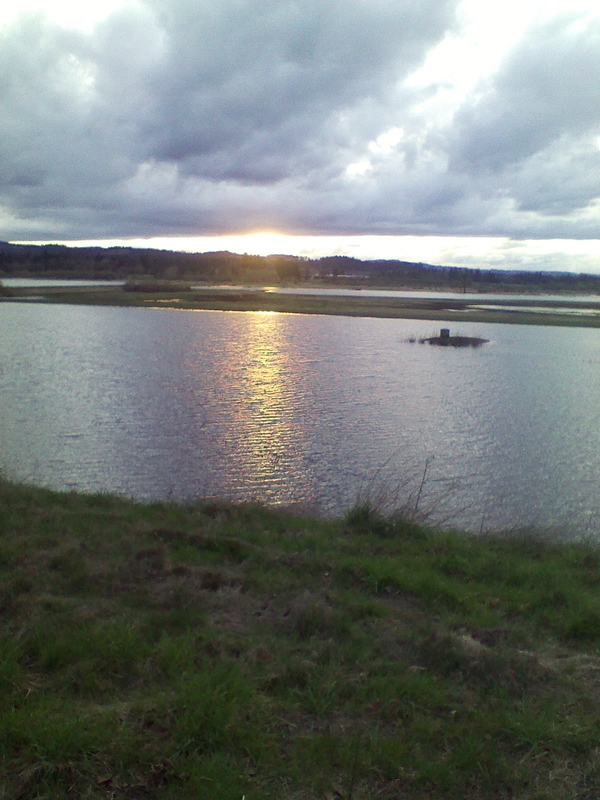 Tualatin River National Wildlife Refuge | Discovered ... Right Here! 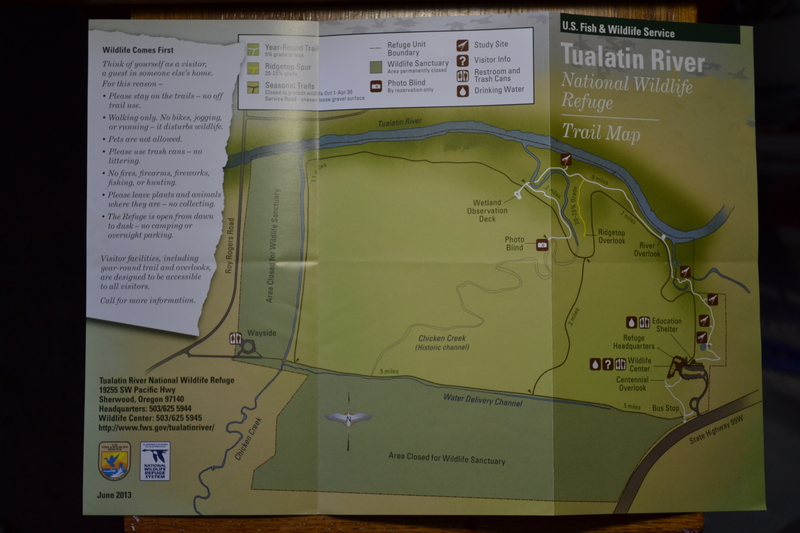 Traveling along 99W between King City and Sherwood, I have often passed the Tualatin River National Wildlife Refuge. After my coworker mentioned spending her Sunday afternoon hiking there, I decided to stop. Spontaneously I made my stop there about dinnertime one Saturday evening. With very few cars in the parking lot, I wandered about the quiet Headquarters and Wildlife Center area. Both had already closed. On the west side of the Wildlife Center there are benches that overlook the Sanctuary and Chicken Creek towards Roy Rogers Road. I found myself sitting there, watching the bright winter sunset behind the Sherwood Hills and a thin ribbon of headlights. 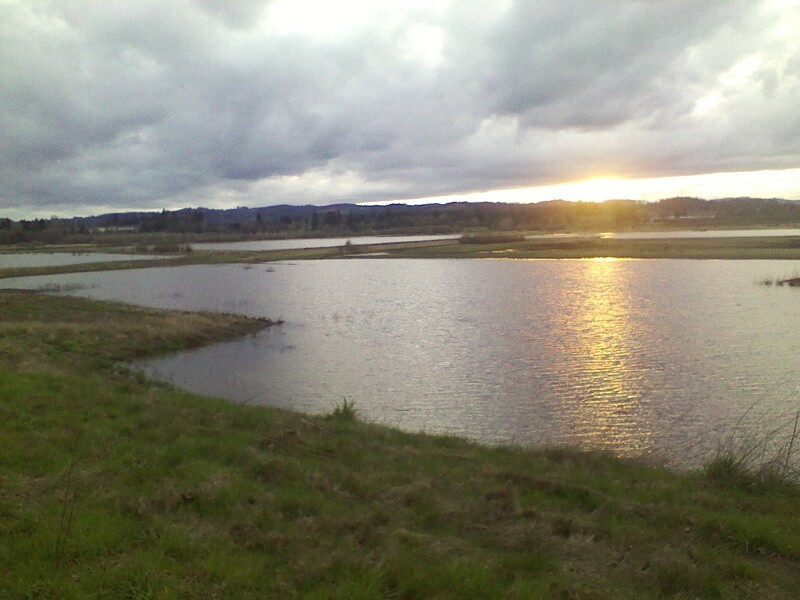 With the breeze coming off the wetlands, the fresh crisp air filled in me what the aroma of cheap pizza (my dinner) had lacked – an aroma of nature. After my sunset show, I picked up a Trail Map and made a mental note to return.